ST MARY'S Church, built in 1868, remains at the heart of village life in Wansford. It is one of the few of the Wolds church which boasts a spire - now ornamented by a gilded weather vane - part of the church roof restoration project. This was a concerted effort by villagers to raise money to refurbish the roof - villagers and supporters raised almost £30,000 over a 10 year period and grant funding from bodies such as English Heritage enabled the £70,000 project to be completed in 2007. There was sufficient cash left to upgrade the electricity supply to the church and enhance the lighting. Fund raising goes on as ambitious villagers hope to go on to raise sufficient money to clean the ornate roof and install central heating as well as many minor works. 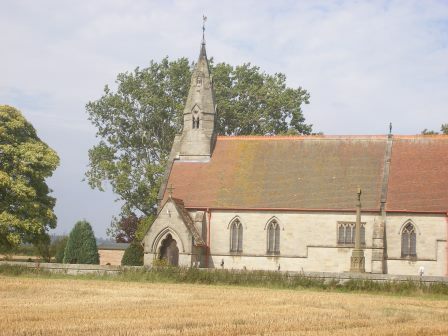 The church is overseen by the St Mary's Parochial Church Council, which meets about six times a year to organise fundraising and take a general view of the running of the church. 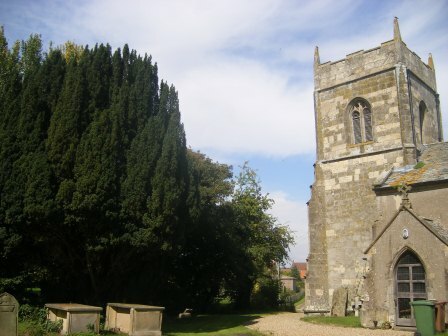 SKERNE'S Norman church, St Leonard's, was much larger than its present day form, having a north transept of which the arches leading to it can still be seen.The entrance porch on the south side and the bell tower were probably 15th century additions. Services take place weekly at 9.15am except for the fifth Sunday.